Yikes, sorry about the posting drought. We've been going through some moving madness and after 9 days, 4 trips with a 17' UHaul, and some brute strength things are done! I hadn't ridden in 2 weeks, but luckily that drought too came to an end Thursday with a solid session at Joey's. A good number of people showed up, the trails were dialed due to all the rain we got, and fun was had by all. Summertime heat is here, as are the bugs. Woo! It's been raining like hell, so we've been digging like mad men. We put in a solid 6 hours over the past 2 days dodging the rain showers passing through the state. The trails are looking nice. Can't wait for the rain to end and the riding to begin! Bry and I hit up Norwich earlier in the week and he was throwing down the suicide nose picks like they were going outta style! The new section added last year is so nice! Lots of Norwich session this year for sure. Rode Joey's again yesterday afternoon and also hit up Ben Fitzpatrick's trails. Both places were so dry! Man we need those days of rain coming next week. A huge thanks to Logan Mitchell for snapping some great pics on our trip to Mass. on Saturday. 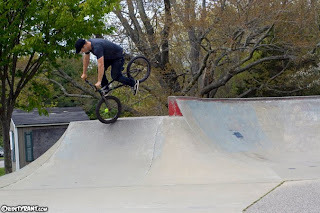 I made my way down to Haddam yesterday afternoon to meet up with Chris Piascik and Ryan Staron and a posse of young rippers from the area to ride Joey's Trails. The place was super dry and crumbly, but we made the best of it and rode for a solid 3 hours. 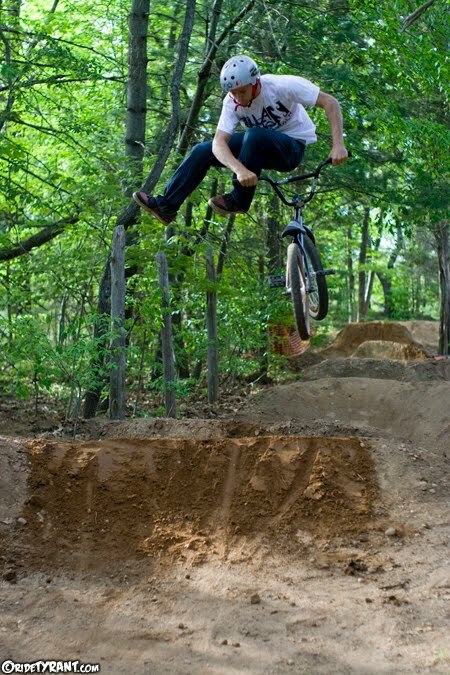 Ryan threw down a tailwhip over the first set, a solid 8-10 foot gap, and got everyone fired up! 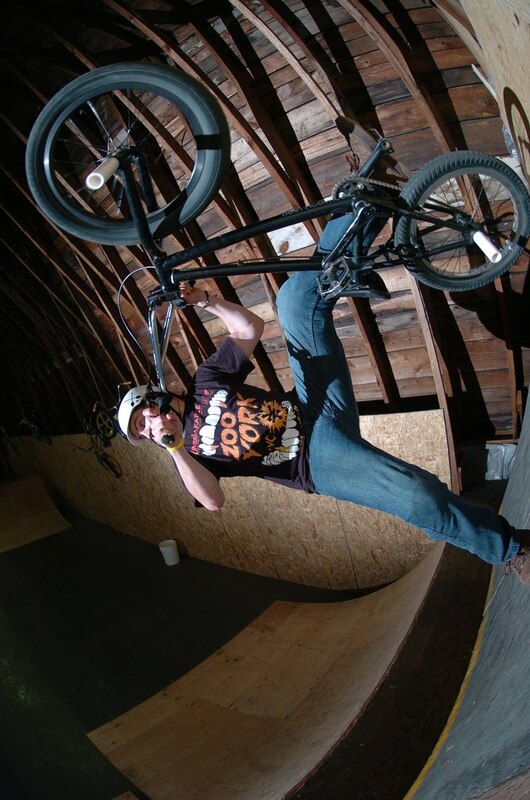 It's wild to see the next generation of BMXers riding a place I used to hit up 10 years ago. When we used to ride Joey's back in the day most of these kids were just getting out of diapers. Damn I'm getting old! I made an early evening call to Bongi and we made our way down the street to check out the 6 pack in his yard that he and Steve Baklik built in the Fall. 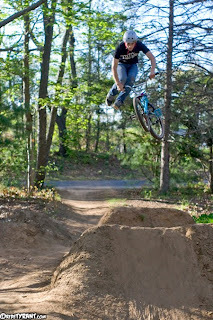 The place is legit...true Haddam Trails style for sure. Big jumps requiring lots of speed! Bongi was blasting the set and local Ben Fitzpatrick was getting rad as well. Another fun day of trail riding in the books and it's only early May. Gonna be on hell of a Summer! 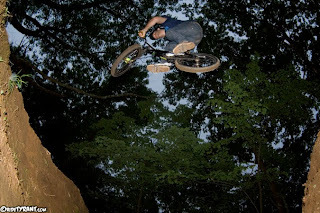 Chris Traverse made this edit from Saturday's session at his Sunset Ranch Trails. Good stuff! Steve, Bry and I road tripped up to Mass. on Saturday to hit up the Sunset Ranch Trails in Hatfield. Chris Traverse and his army of local dirt slingers have done some serious digging over the past 6 months and the place is really coming along nicely. 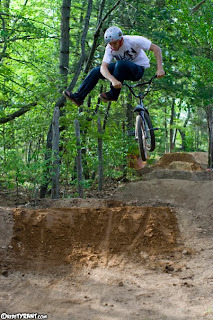 Logan Mitchell made the trip down from Keene to ride and shoot some photos. It was good to see him, it's been years since we last rode. We sessioned the trails for several hours, Chris did some grilling, and everyone had a good time. We made our way to the NoHo Park in the afternoon and the park session quickly turned into a wallride session at a near by cement slab. 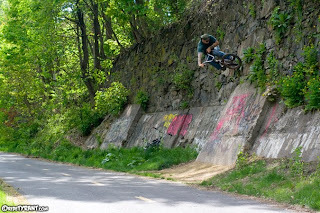 Steve gave it hell and boosted the wall way too high...Rad! 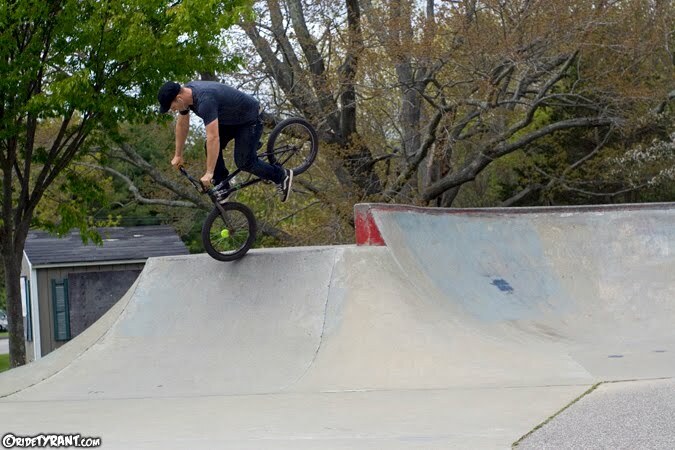 The late afternoon plan was to hit up the Westfield Park, but a last minute call from Matty Still took us down to Easthampton for a little ramp action. All in all a kick a$$ day of riding, hanging with old friends, and loving the warm weather. Let's do it again soon! Apparently what we've been calling the Baltic Skatepark for the past few years is actually the Sprague Skatepark....ooops! Anyway, Steve and I rode the park for a few hours and it was insanely windy with random 30 second showers on and off. Really odd weather! Steve was blasting the hip and getting his grind on. Good times. We're headed to Mass. on Saturday for some trails and park. Should be a fun trip seeing some old faces. Man, it's videos like this that make me wish I could go back in time. Tons of rad people riding BMX and having fun. This was shot in 1997, I didn't meet Weasel and his brother Matty..and all the old MSC crew till 2000 or so. Would of been a good time to be up in Mass. in the late 90's!